We are a coalition of partners in Kansas and Missouri – KS (Kanza) and MO (Thomas Hart Benton) groups of the Sierra Club, 350KC, women’s groups, faith groups - who advocate for Climate, Jobs, and Justice. 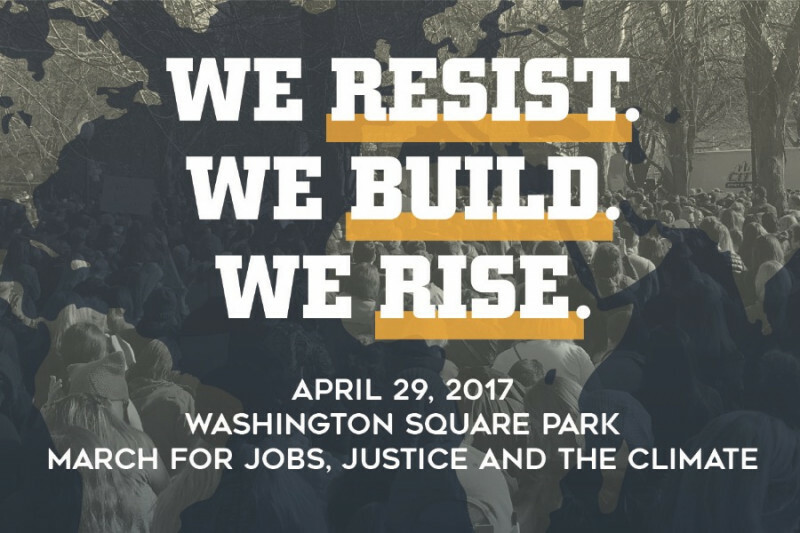 We are holding a rally on 4/29 in Washington Square Park to demonstrate solidarity with the People's Climate Movement March in Washington, DC that same day. Our rally is your chance to show our community that people in the Heartland are committed to actions that promote a vision of a clean, safe world where the rights of all people are protected and expanded. We rally for our families, our communities, and our climate. Given the increasing assault on research and regulations that protect climate, the air, and water, we must fight to protect the gains made over the last 30+ years, while we articulate and demand initiatives to move our nation to a new, clean energy economy. It’s critical for us to bring together a broad base of concerned citizens, scientists, environmental advocates, social justice groups and labor to achieve our vision here, in our community. Time is of the essence. Join us to create a Movement, not a Moment! This campaign will help support our rally by raising money for printing, promotion, speakers, permits, and our art installations. Given the short time we have to organize our event, your gift is especially valuable within the next 30-45 days. We are sponsored by the Kansas Sierra Club/Kanza Group. Any funds remaining after the event will benefit the Kanza Group to support our local projects. We are almost at the $3,000 mark everyone! Can you help push us over? And don't forget our great events this week where you can engage with us, pick up a shirt, and help us gather momentum for the big day! #Climate #Justice # Jobs! RSVP to Climate March Kansas City! Sorry I wasn't able to make it today -- hope all goes well! Thank you for your presence and persistence.